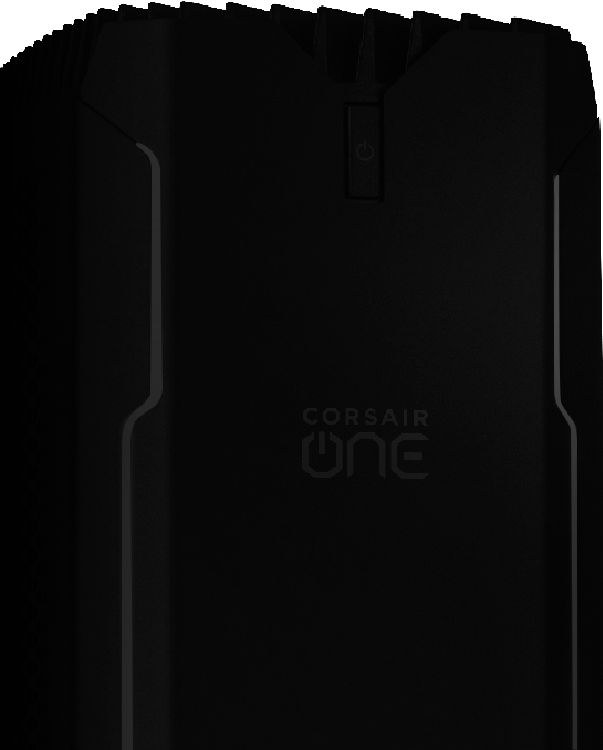 CORSAIR ONE i160 redefines what you can expect from a high-performance gaming PC. Incredibly fast, amazingly compact, quiet and stunningly designed. 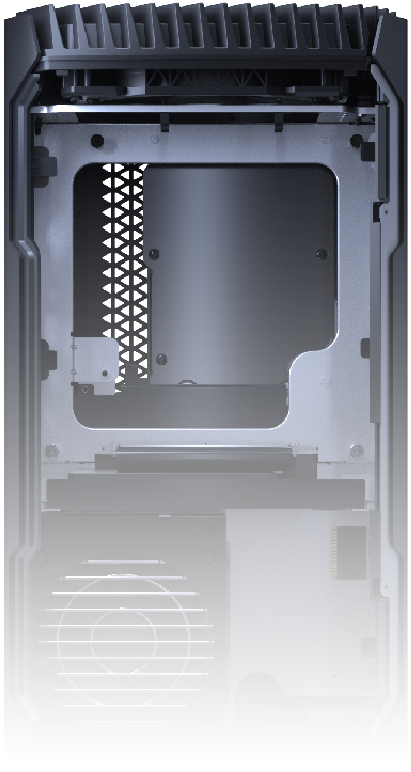 Clad in a 2mm thick bead-blasted aluminum shell, CORSAIR ONE i140’s minimalist ultra-small form factor is crafted to sit on top of your desk, not under it. 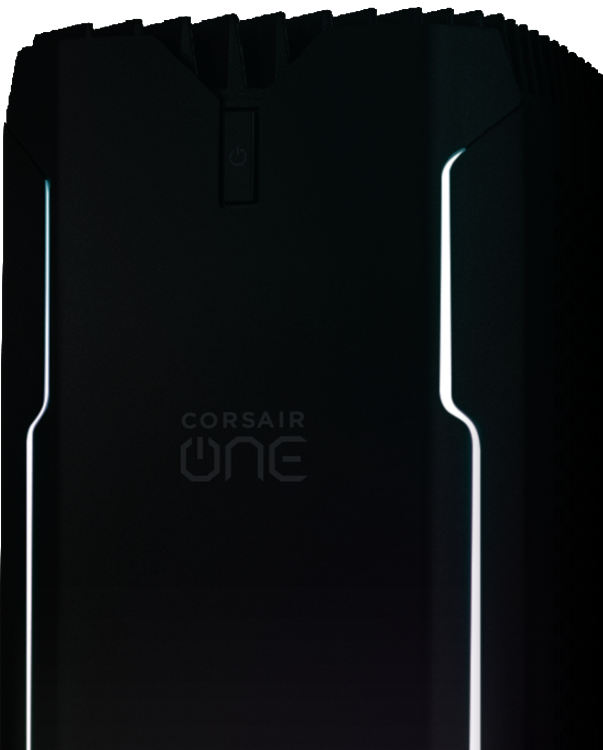 CORSAIR ONE i160 boasts the latest in performance PC technology, with an INTEL® Core™ i9-9900K eight-core processor, NVIDIA® GeFORCE RTX™ 2080 Ti graphics and award-winning CORSAIR DDR4 memory. 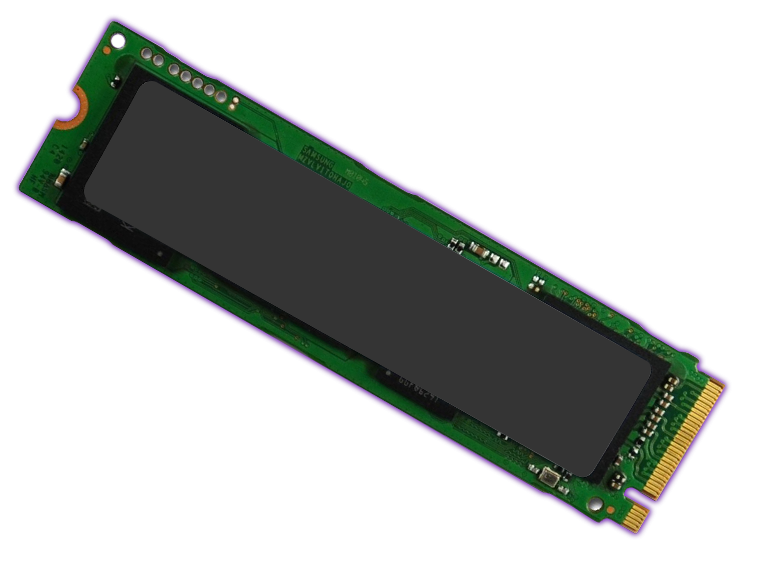 Experience stunning multi-display immersion with support for up to three 4K displays with NVIDIA® G-SYNC, VR and HDR. CORSAIR ONE fits seamless at your desk, or in your living room. 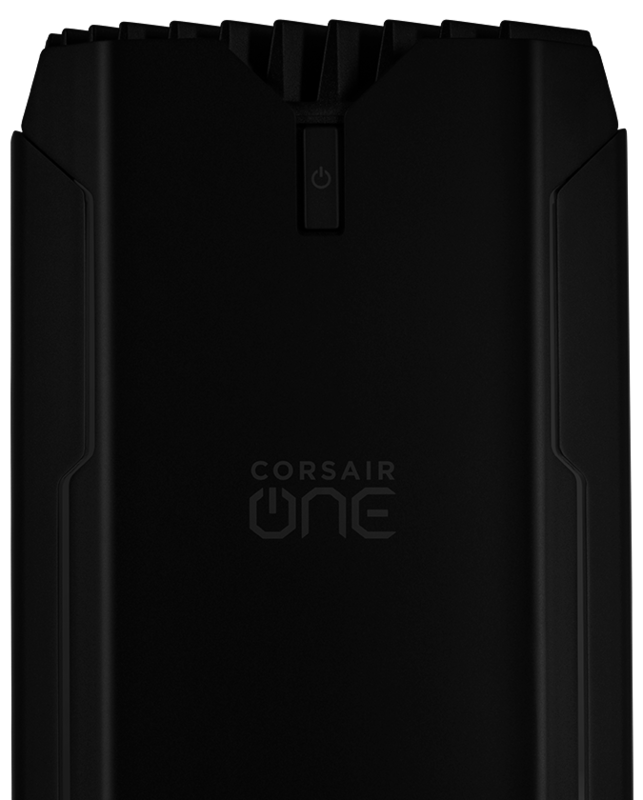 HOW BIG IS THE CORSAIR ONE? 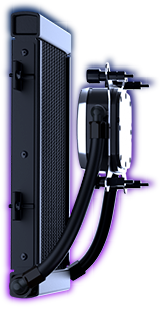 Built-in RGB light pipes and powerful CORSAIR iCUE software allow you to personalize your system’s look and instantly sync lighting profiles across all your CORSAIR iCUE compatible products. 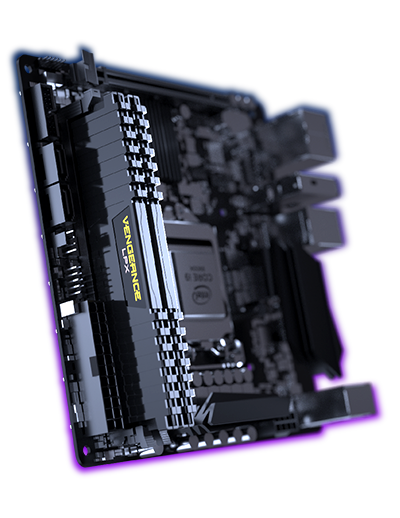 Powered by the latest 9th generation Intel® Core processor™ and a high performance Z370 Mini-ITX motherboard, CORSAIR ONE delivers lightning fast processing with headroom for overclocking. 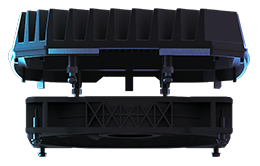 The custom liquid cooling design is so efficient that the GPU and CPU can run in BOOST or TURBO modes easily, increasing clock speeds automatically for more performance. 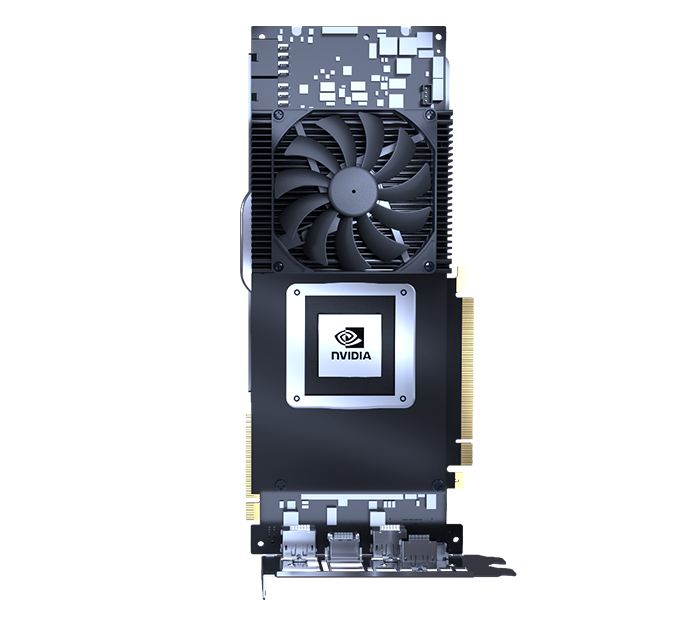 Experience the power of a liquid cooled NVIDIA® GeForce® RTX 20-Series graphics card. 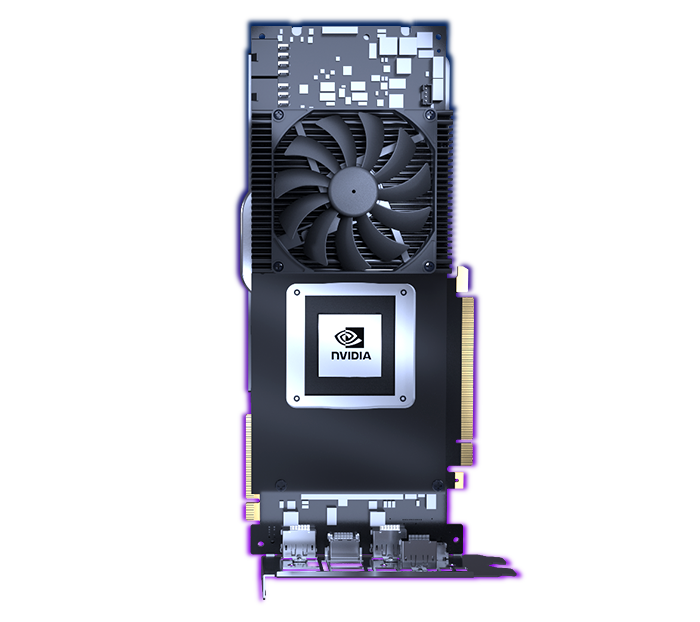 All new Turing GPU architecture delivers up to 6x the performance of previous generations, rendering 4K and VR without breaking a sweat. 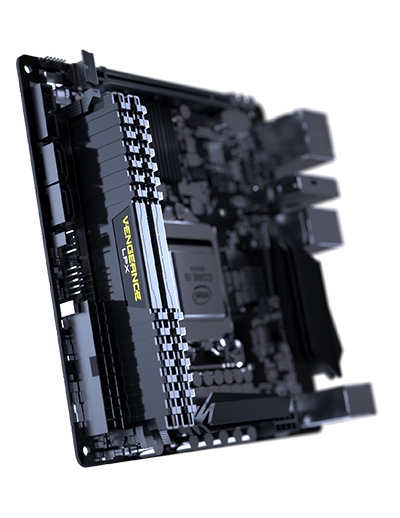 VENGEANCE is engineered to outperform and outlast. 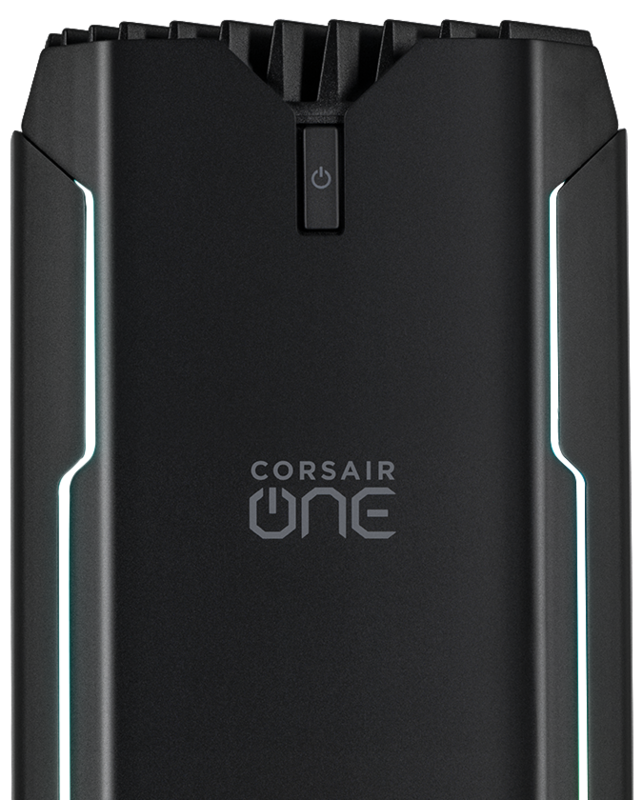 The sleek vertical design of the CORSAIR ONE is also a hyper-efficient cooling system. 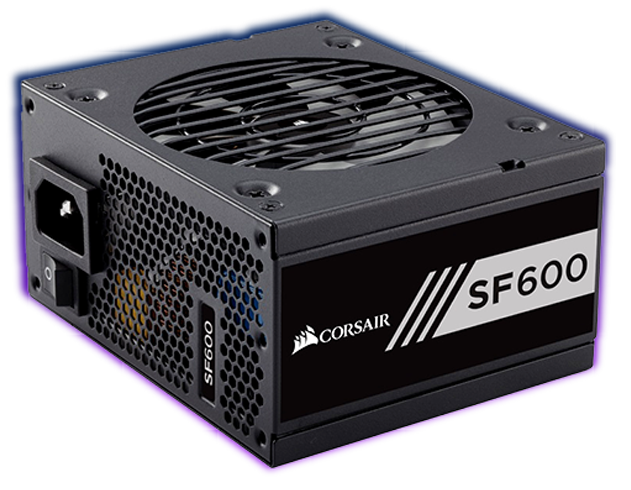 This quiet convection cooled design is a proprietary closed loop CPU/GPU liquid cooling system, supported by our virtually frictionless magnetic levitation ML SERIES fan. 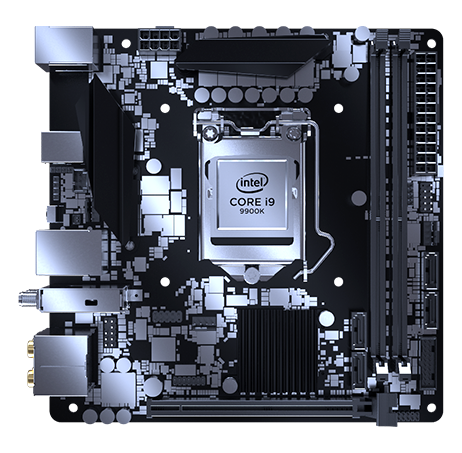 Put connections for your most used devices within easy reach with a 3.5mm audio jack, two USB 3.0 ports, and a VR-ready HDMI port. 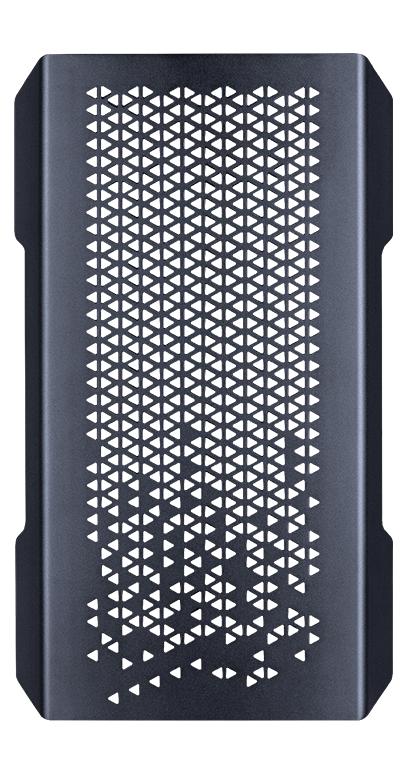 A lightning-fast 480GB M.2 NVMe SSD and a high-capacity 2TB HDD give you the most effective combination of speed and storage on the market. 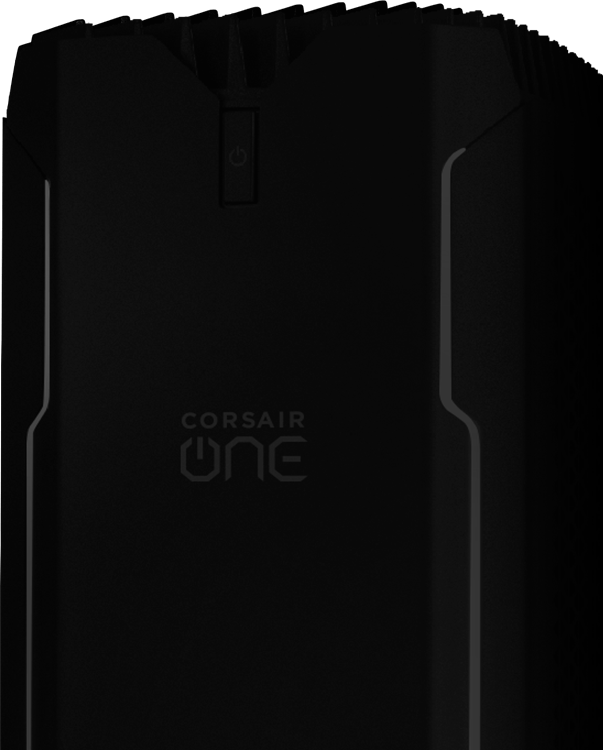 Get help with your CORSAIR ONE when you need it, with CORSAIR’s comprehensive two-year warranty and lifetime world-class customer support, available to you 24-7 by phone or online.